According to state BJP president Dilip Ghosh, the number of stalls coming up this Durga Puja is the highest in the history of the state BJP. KOLKATA: As Bengal's biggest festival Durga Puja nears, the opposition BJP in West Bengal is leaving no stone unturned to use the mega platform to reach out to masses and has decided to set up nearly 3,000 bookstalls displaying books on party ideology outside pandals in the state, party leaders said. In addition to books on BJP's ideology, those on Prime Minister Narendra Modi and the works of Jan Sangh icons -- Deen Dayal Upadhyay and Shyama Prasad Mookherjee -- would be put up on display in these stalls. Besides, the literature on National Register of Citizens (NRC) and Citizenship (Amendment) Bill would be exhibited to make people aware of the contentious issues. "This year, we had received requisitions for nearly 3,000 bookstalls from across the state. We hope to come up with stalls outside various puja marquees," BJP state general secretary Sayantan Basu told PTI. "Earlier, our party organisation was not so strong that we could afford to set up stalls outside puja pandals. But things have changed and more and more people are getting connected with our party," Ghosh said. The BJP aims to highlight the NRC issue in Assam as well and how its updation exercise earlier this year was carried out to benefit the northeastern state as well as the country. The complete draft NRC was published in July this year with 2.9 crore names in which over 40 lakh people were left out from the document, touted to be a proof of Assamese identity. "We will use this (platform) to propagate about NRC in Assam and how it is done for the benefit of that state and country, contrary to the propaganda of the TMC. We will also issue articles on violence and misrule of TMC government and the developmental work done by the Narendra Modi government in the last four-and-half years," he said. According to party sources, the state leadership has been buoyed by its performance in the last Panchayat polls and now wants to do even better in the next Lok Sabha polls by reaching out to the people of the state. The BJP had emerged as the number two in West Bengal after TMC in the three-tier local bodies' polls recently, leaving behind CPI(M) and the Congress. 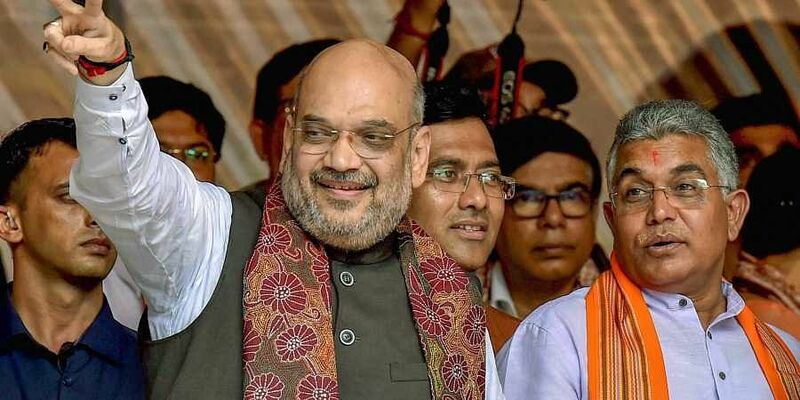 Prime Minister Narendra Modi and BJP president Amit Shah have on several occasions said that West Bengal is a priority state for the party in the coming parliamentary poll. Shah recently set a target of winning 22 of the 42 Lok Sabha seats in West Bengal for his party workers. The BJP leadership apprehends it would be denied permission for setting up bookstalls under "instructions of TMC leaders in respective areas". For years, various political parties including the CPI(M) have been setting up stalls in the state to promote their books and literature outside Puja pandals as a public relations exercise. After the Left Front was voted out of power in 2011, the TMC has been promoting party mouthpiece "Jago Bangla" outside puja pandals in the state. "For us, Durga Puja is integral part of Bengali culture, heritage and history. We look up to it as a festival, unlike the BJP which tries to use religion to create rift among the masses," TMC Secretary General Partha Chatterjee said.